“We are in the business of treating diabetes,” says Maggie Lovatt, member of ACTSI/TI:GER-supported team Bioletics. Lovatt’s team created a device that eliminates the need for insulin by using electrical stimulation. There are nearly 30 million people in the U.S. who have diabetes, some of which inject insulin three to five times daily. Bioletics’ invention sits under the skin and gives the body signals to absorb or release glucose. Bioletics is a team stemming from Georgia Institute of Technology’s TI:GER program which assembles students into competitive teams of two MBA students, two law students, and a PhD student in order to address the issues that arise in technology commercialization, like patent drafting and law, and maximizing commercial potential. ACTSI supported TI:GER teams in the past by funding travel, tuition, and student stipends. In June 2015, ACTSI awarded the TI:GER program $40,600 for one year. 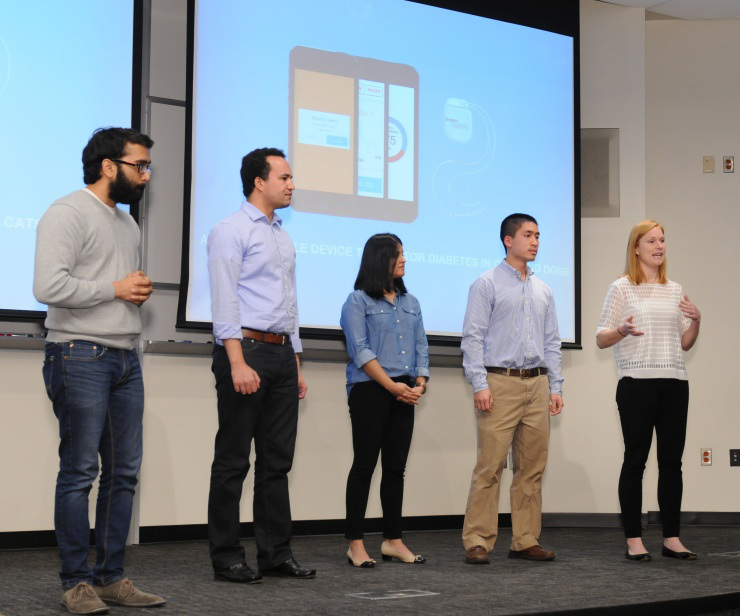 Already the team has won the Edison Award at the 2015 Georgia Tech Startup Competition presented by VentureLab and sponsored by Georgia Tech’s Scheller College of Business. In addition to the $15,000 cash prize, the win also qualified Bioletics to participate at Startup Madness in Raleigh, NC where they took third place. Team Bioletics includes Georgia Tech Neural Engineering PhD student Yogi Patel, Georgia Tech MBA students Maggie Lovatt and Hassan El Majidi, and Emory Law students Mark Luo and Sarika Mathur. The ACTSI is a city-wide partnership between Emory, Morehouse School of Medicine, and Georgia Tech and is one of a national consortium striving to improve the way biomedical research is conducted across the country. The consortium, funded through the National Center for Advancing Translational Sciences one of the National Institutes of Health’s Clinical and Translational Science Awards (CTSA), shares a common vision to translate laboratory discoveries into treatments for patients, engage communities in clinical research efforts, and train the next generation of clinical investigators.